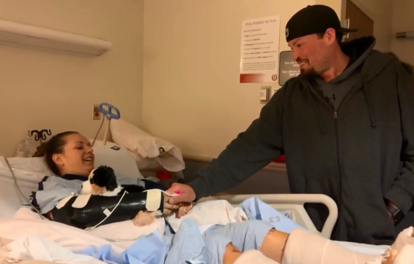 ROGUE VALLEY, OR — Days before Thanksgiving, a Medford woman was on her way home for the holiday when she was involved in a head-on crash in Utah. The woman was trapped in her car as it caught fire. A Utah resident passing by jumped into action and extinguished the fire using a portable extinguisher from his car. The Good Samaritan stayed with the women for three hours until paramedics arrived. Due to the actions of the Good Samaritan, the woman only suffered injuries from the crash.